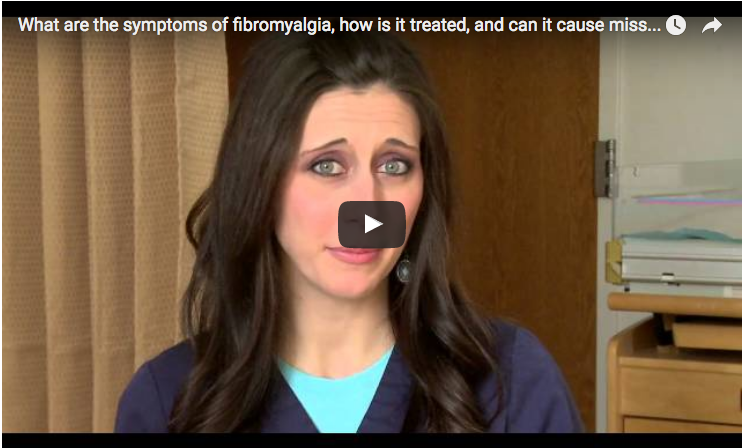 What we eat or don't eat can impact our fibromyalgia for good or for ill. It often seems as if once we figure out what we should or shouldn't eat, our body throws us a curve ball and we're back at square one. There may be a period of time that you can eat foods containing gluten, and then your body rebels so you switch to gluten-free. Although everyone should eat well, diet is especially important when your body is fighting illness. I would STRONGLY suggest that you don't eat any foods that contain genetically modified organisms (GMOs). When I purchase any type of grain product, I always check for "certified non-GMO" on the label. For that reason, I also do my best to buy local or organic produce. I recently switched to a vegetarian diet, but when I ate meat I would be sure it was grass-fed. My fish was only wild caught, not farmed, and my chickens were farm-raised and free-range. Be sure there are no antibiotics or hormones used in any meat that you consume. I've recently adopted a low FODMAP diet to help with my IBS. I still keep it vegetarian. You can find books and groups online if that's something you want to check out. It's only meant to last two- to six-weeks to get your symptoms under control, and then you start adding back one high FODMAP food at a time and see if it triggers your symptoms. Eat plenty of veggies, especially green leafy ones such as kale, baby spinach, romain lettuce, to name just a few. If you're able, eat organic. Diet is so important and others w/o fibro do not understand. I am not invited to social things because others do not understand. I do not criticize how others eat. When I do not eat as they do they take it personally and don’t want me around because of the way I eat!!! They say they feel guilty because there is very little or nothing I can eat. They see me as finicky or seeing myself superior in some way. I have eaten in the past to please family or others and the pain for doing so was far too great. I also have severe TMJ and chewing is pretty much out. Okay, my diet is boring. This seems to be the attitude. I even had someone ask if I saw myself as a “guru” on a mountain…that hurt and was cruel. I have given up trying to explain and stay a way from anything concerning food. I still enjoy cooking and baking. I enjoy being a secret elf this time of the year. I believe you understand. Thank you. (I truly do not miss all of the foods that most eat). Em, regarding your TMJ…I have that too. I had my dentist make me a mouth guard because I also grind my teeth at night, and it has made a world of difference. It can be super frustrating when others criticize choices we make for our health. Hugs! ???? Grace, I agree about boundaries, and everything else really, about fibro constantly changing. I’m so sorry about your vertigo, it’s no fun. I get it every few weeks or so, for over 28 years now. It can be very frustrating figuring out what triggers symptoms. I’ve felt like giving up eating too at times, you’re not alone in any of this. ???? Robin, that must be terrible to have Vertigo every few weeks. I really feel for you. I have looked up information and think that mine could be Meniere’s Disease because of the triad of Vertigo – Tinnitus and Hearing Loss. That’s why the exercises to get rid of the particles in the ear don’t work as this is different. There are some good Utube videos. I have had a constantly runny nose for years and a sinus infection for over a year which nothing would cure. By chance i bumped into an acquaintance who also has FMS who had a dramatic improvement of similar symptoms when she switched from cow’s milk products to goats/sheep or soya. I love cheese, so decided to try goats milk products- which worked so quickly I could scarcely believe it and thought it must be a fluke. But no! It has worked miraculously. I can actually breathe through my nose, which is not running anymore and the infection is receding. Thank you to all goats! Wow! I just recently noticed that I seem to keep getting sinus infections. Two rounds of antibiotics really haven’t done a thing. Also noticed that my sinuses seem to be trying to “clear” themselves and I have pain on the right side, which is parallel to the bottom of my nose. Does this happen to others as well? First I’ve read of it. Any suggestions on what is going on and what to do about it? I had surgery about 10 years ago on my nose and throat that was supposed to help with the sleep apnea. (They took out part of my uvula, the thing that hangs in the back of your throat. Also found out I had a deviated septum. At least it helped my breathing with that!) I’ll check into switching to milk and cheese from goats. I went to lactose free milk already. Are they available at local stores or do you have to go to a health food store to get them? Ahhhh…Fibromyalgia…the gift that just keeps on giving! UGH………..! Thanks for your reply Maureen! I’m confused. Is Ponaris over the counter or do you have to have the pharmacist get it? Also, I have an atomizer in my bedroom and have essential oils to put in it. Haven’t tried the eucalyptus, but will today! Thanks for the suggestion and let me know on Ponaris, ok? I’m in the US. Is it something you can get at CVS or Walgreen’s? Again, thanks! I use unsweetened almond or coconut milk. I do like goat cheese on sprout bread-esp. the Cinnamon Swirl for a treat. I have gone gluten free which has been a wise choice for this fibro fan of the gift that just keeps on giving…thank you for a chuckle. SS hit me upside the head w/ a blast from the past…how can I be the widow of an ex-husband in 1995 who died 3 years ago? Sure messed up my benefits and set the fibro and temper raging. It is all about the bucks, ’bout the bucks not the ethics-sang to the tune of “It Is all About The Bass”. Thanks and now back to the rice bag (comfort that does not need to be walked) and a cup of Burdock Tea. Not recommended for all due to interaction w/ meds. I mentioned the FODMAP diet in an earlier posting. It makes a huge difference, especially with those of us suffering from IBS and GERD! I’ve gone through so many mouth guards for TMJ disorder and bruxism. Stopped using them when I woke up in the middle of the night, chewing on it, getting ready to try and swallow the stupid thing! Back then it was kinda hard to wear a mouth guard and use a CPAP machine at the same time. Stopped using both. They will help some people, however. I was diagnosed with FM 8 years ago. I’m 53 and applied for disability to day after working full time .In the past years the flares have gone up to 2-3 a week with no warning, and costochondritis when the air conditioner vent blows my way or I eat Nitrates, MSG or calcium carbonate in food or meds, and no wine due to sulfites. Its getting harder to go up stairs these days or to get a good nights sleep. 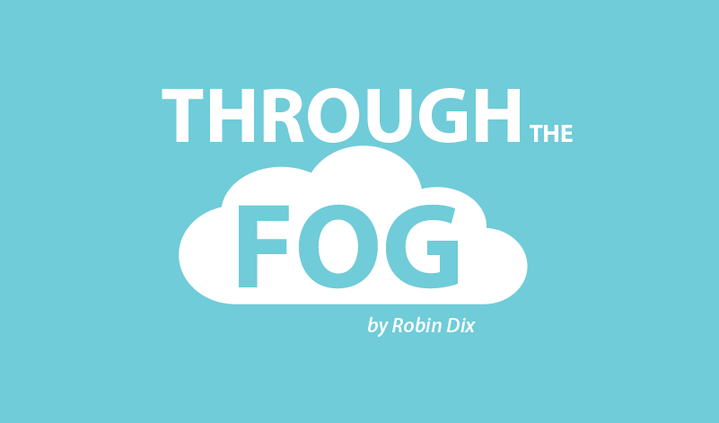 The fibro fog is prevalent, as well as a burning sensation all over the surface of my skin. Has anyone out there had the burning skin feeling? or going into chest wall pain from a cool breeze? When I have the foggy brain, at this point I am afraid to drive a car and have trouble remembering many things including peoples names. The worst is the chronic joint pain and peripheral edema in the last year.I worked in healthcare and have three grown kids in their twenties. I feel a lot of grief even applying for disability, but I live alone, my family really is not around and does not understand, and I have got to cover my bases with this. I have had many recent moments of crying and defeat, but I don’t know what else to do at this point. Any comments would be so appreciated! Have a peaceful holiday. Well Robin, my diet is healthy. I was just notified that I will be receiving half of my former now deceased husband’s income which took me $50 over the limit allowed by medicaid and now will only receive medicare as of January 1 leaving me responsible for 20% which is not possible for me and still keep my rent/ utilities paid and know about how to try and get a secondary and SS is no help. Talk about being blind-sided. Neither one of us remarried so I am considered his widow. I did not know this was even possible!!!! Anxiety-more like absolute terror and pain so bad right now I would that God would call me home. An abusive man who died and I am sorry he did because 2 of his grandchildren have no grandfather although he even abused his own children-he is dead and still emotionally abusing me w/ the aid of the federal government. I did get Christmas shopping done for the 4 grand children ages 2 thru 9. Celebrating Christmas w/ my 3 adult children and 4 grand children on the 26th. Merry Christmas from SS-they are only doing their job. We live in a throw a way world. Will get the gifts wrapped and will go w/ a happy face and pray I do not break completely down. I am not my children’s responsibility. They don’t know what has happened and will not be blamed again for ruining Christmas last year. Surely this is a dreadful nightmare-I would that it were. Thanks for listening. I have to stop crying. We all know what stress does to we fibro folks. Job had it much worse-I am not Job. God did not do this. This is man’s law. How could have I not known this?? Feeling very stupid now. Must stop typing before I short out computer w/ tears and can’t feel the keys-there will be no sleep tonight. Walk out into the cold and perhaps just freeze to death-being overly dramatic. I don’t know how to get a secondary or if I can even get one. now how do I keep up w/ a healthy diet. I want to work!!! Have internet until January 15, 2017-sure I can do something altho not much time. Medicaid ends January 1. Still have roof over head and much to be thankful for and will trust I can get some info about secondary and can afford one. Rent went up again in October. Okay, enough murmuring and complaining. I can celebrate Christmas w/ my family. Have not seen my daughter and her fiance for 3 years. Just went brain dead. Thankful I found all of you. We are 1 in many ways. Em, I too was over the limit for Medicaid. You can go online RIGHT NOW to Medicare.gov and look at medicare advantage plans that can cost you NOTHING. It will pick up that additional 20%. Yes, you may have copays for items like doc visits and prescriptions, but I’ll bet there are plans that cost you nothing monthly for the supplemental insurance. You can actually compare Medicare advantage plans, one next to another, to see which is best for you and the medications you are currently taking. It can take a while to go through the plans, but you can save your work if you get tired or overwhelmed by it all. Also, if you need help navigating the site, you can also call your local SHINE office. (google SHINE) That’s what I did when I first went on underaged Medicare. It can be very confusing and they were quite helpful! They should be available quickly now that open enrollment is closed. (Your new circumstance will allow you to still make the changes necessary to cover yourself.) The good news is: THERE IS HELP AND YOU DON’T HAVE TO GO IT ALONE! A Medicare Advantage Plan will help you fill in the big hole you just found yourself in. Good luck! All of that searching is far too overwhelming. Stress has me by the throat. Will try when the tingling stops and the fog lifts. So very tired. Robin, I’m so sorry for your struggles. When I am overwhelmed like you are, I STOP! And I do mean STOP. I stop worrying about what’s going to happen, what NEEDED to get done today (it will still be there tomorrow…) and I climb into my bed and watch a favorite program or play with my cat or take a nap. Prayer and meditation always help me. It may not seem like it at the time, but it truly does. By yesterday afternoon I was so overwhelmed like you that I finally had to tell myself to STOP! There’s no sense driving when you have fibro fog, or doing anything else for that matter. 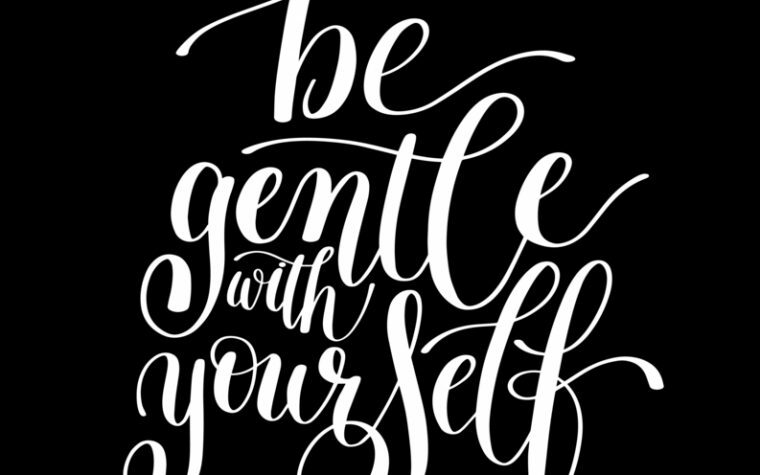 You have to take care of yourself…no one else will. As I have said before, “this too shall pass and tomorrow is another day.” Our society is one of instantaneous action. Let’s face it. We can’t compete with that, nor do I want to anymore. So, when I feel overwhelmed, I just STOP and take care of myself. The world will go on and tomorrow you may feel better, less overwhelmed and be able to tackle what didn’t get done today. If you don’t stop and take care of yourself, you’re just going to make yourself and your illness worse. IT’S OKAY TO STOP. Pause, reflect, do something you enjoy, instead of something you HAVE to do. Then you can recharge and get back at it another day. Good luck, God Bless and Merry Christmas! Remember, we are all here for you! In Australia we have Fess – a salt water nose spray. It also comes in a version with some eucalyptus oil. It really helps to maintain sinus health. Can be used daily. I would love to go organic, GMO free and try the Fodmap diet but financially for me this is hard. Why is eating healthy always so expensive! Anne, the FODMAP diet isn’t expensive at all. It is simply one of eliminating certain foods and eating others. For example, I am NOT supposed to eat pork, broccoli, watermelon, cherries, etc., but I can eat beef, eggs, chicken, fish, blueberries, grapes, carrots, celery etc. So, it is simply a “diet” – which really isn’t a correct name for it – where you don’t eat certain things, but eat others. It has really helped me with the IBS and GERD that comes along with my fibromyalgia and was recommended by my gastroenterologist. Any one who buys groceries can do it! I carry my list of “eats and don’t eats” with me when meal planning and going to the grocery store. Not only is it expensive it is also hard to find. I do my best and now things have spiraled downward-must be a new type of population control-typed w/ tongue in cheek. Despite having a really good diet I have currently day 7 now) impacted faecal matter and cannot shift it with anything. Have done 7 Movicol sachets in one day; Magnesium, laxative with stool softener (all of these together after talking to the Dr.)Am right now waiting for the outcome of taking a sachet of Picolax (prep for colonoscopy stuff). How does this happen when I have a good and healthy diet? And yes, I take fruit and fibre. And yes, I know that only water soluble fibre works for me – others block me up so no Spirulina etc. FM always finds something new to muck up your life. But…I’m saying ‘Aleppo’ and just move on. Hi Grace, I don’t know that much about the Thyroid nodules, but I sure am having a hard time knowing what foods are triggering for flares. Lately it seems I am having one continuous flare (one of those weeks…or months, and I can not pin point what is starting the flare. Its so persistent, I think the flares might point to the need to eliminate white flour or sugar. It just seems like it will be a large step. Unfortunately, my Doctor put me on Lyrica w/Cymbalta already, and I feel like its making me gain weight and/or crave carbs. I have heard that figs, prune juice and miralax are supposed to help with constipation and drinking as much water as you can stand. I sure hope you feel better soon! -Robin W.
Sorry to hear about the flare-ups. Water is something I cannot emphasize enough!! People tell me they drink coffee, tea, pop and juices because they don’t like water. Also doing a way w/ sugar and gluten did help me. It is a challenge!! I no longer miss these things. anything w/ refined sugar now tastes bitter. I have heard others that are sugar free say the same thing-and no artificial sweeteners!!!! As far as constipation I now use liquid magnesium citrate because it gets into my system quicker. The older we get the more we need. I know some who are older than myself and have suggested this to them and to start out slow as too much is a laxative-you can find it w/ the laxatives. they have found it does help and even helps w/ good old Arthur. So when it comes to water-BOTTOMS UP. I agree that water is important and I drink a lot (filtered with reverse-osmosis system). I drink 2 cups of black coffee a day without sugar and no other drinks. I know all the tricks of the trade re constipation and I have found magnesium the ‘miracle’ cure. However, what is going on right now is not normal constipation. Everything was blocked except for some watery stuff and after finally cleaning out with Picolax I was one day ‘normal’ and then it started up again. Just to let you know: yesterday I took 4 magnesium capsules (350 mg each); 2 x movicol; 3 colnyx laxatives with stool softener and the result was just a little cramp. Today 5 magnesium, my normal ground flaxseed mix; some dates and nectarines and then again 4 magnesium. Result: a bit of watery stuff. Something is blocking movement. I have the feeling the bowel muscles have completely stopped working. It is stuck at the upper level. Just a bit desperate as I have also terrible backache on the right middle side. Oh and…the normal FM stuff. :-)Strength to all others who go through hard times. Glad to have a group like this where we can share and encourage each other. Did you know you can decaffeinate your own tea by steeping at room temperature? Green tea is a healthy choice and organic w/ no GMO’s is best. Having been off sugar for so long green tea tastes sweet to me-and please do not squezze the bag as this results in the really nasty bitterness. Yes, it is trial and error. What works for one likely will not work for another or perhaps it will. I am sure I already mentioned I have lost friends/family members because of the way I choose to eat. I do not care how others eat why am I excluded because of the way I eat. Dadgum lonely life, but still better than severe pain and even diet is not always the answer. Sorry I have no way of sharing some of my artwork w/ you. Doing what I want now as fibro put an end to being a professional and in a distorted type of way I am thankful. Hi again Robin. I went to your site and sent a friend request under the name Jasper Miller-gets complicated as to why I am under an alias. No, I am not a convict or any such…please accept friend request. This site has been most helpful and I appreciate all you do for others. I would that I could do so. Thanks for the hint about the teabags. Will tell hubby who uses green tea. I also prepare iced tea for him and luckily never got into the habit of squeezing teabags. However, I am not really into teas (occasionally a herbal tea) so I’ll stick with my 2 cups of coffee a day and my beloved water! :-)Robin I am interested in your FB group too. Is it only by invitation? Grace, just request to join and I’ll add you. ? ?